Our Eval Boards support Atmel compatible ISP header. In this case you can use the Atmel ISP Programming Software. The MRK Software supports the PPS Adapter On Board Device Programming (At89LPx052) and serial programming via serial Port for our Eval Boards. 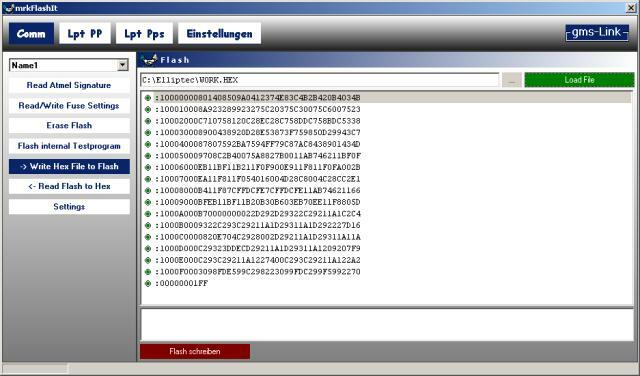 The software supports writing the flash memory (bin and hex files), Lock bits and user fuses in SPI /ISP programming mode. The basic settings and menues can be changed in a language file.